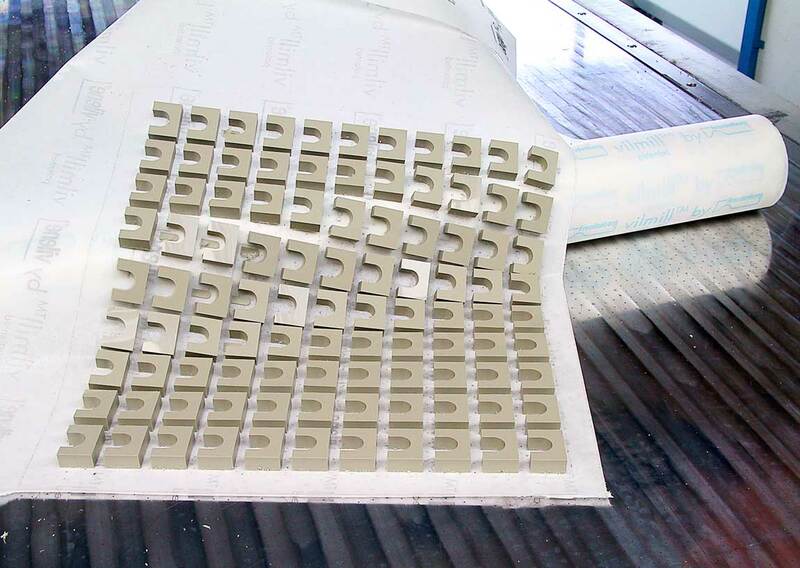 With its optimized adhesive coating, vilmill™ guarantees the reliable fixation of delicate parts. The heat at the milling edge which is produced during machining leads to its embedding by melting onto the vilmill™ surface. A positive fit arises between the milled part and underlay, which makes secure force transmission possible. Detachment is possible without residue. In addition to adhesion through heat, the air-permeable textile supports the uniform distribution of the vacuum over the contact surface of the milled part. This is particularly effective in the case of delicate contours. 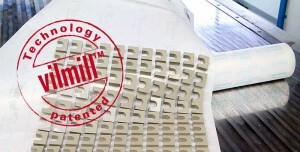 vilmill™ serves as a milling underlay with a thickness of 0.2 mm. The semi-finished product is completely milled through and the machine table remains undamaged. The dimensional stability is excellent. Furthermore, vilmill™ provides support in transporting away milled parts and scrap skeletons on a removal table. This happens lightning-fast, either fully automatically or manually. All PORTATEC milling systems are designed for using vilmill™. The most important component here is the interaction between the vacuum table and vilmill™. Decisive here are the geometry of the bores in the vacuum table and a powerful vacuum supply. 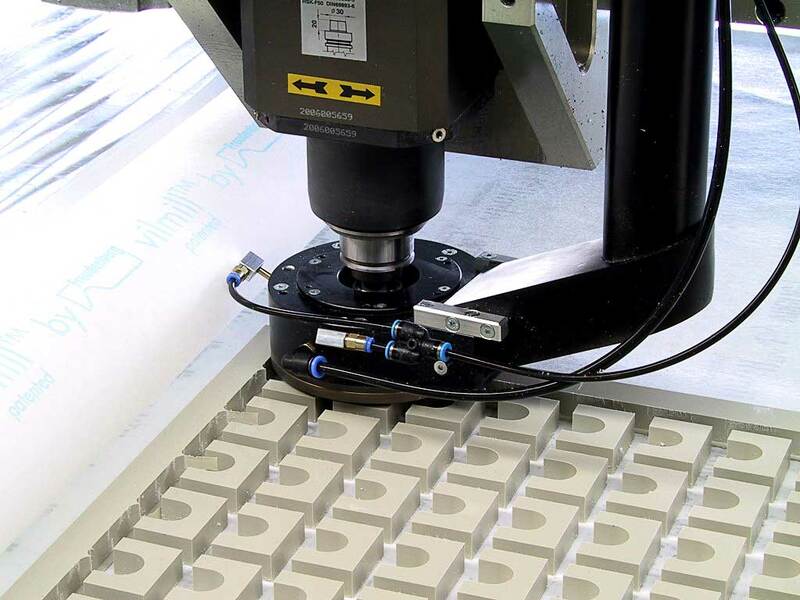 To use vilmill™ technology with milling machines from other manufacturers, it is possible to place a vacuum plate as an additional element on the original vacuum table. 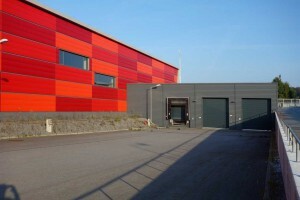 PORTATEC offers this solution. Fastening is done individually.